Reuters. Fri, 19 Apr 2019 11:47:33 -0400. Yahoo. Fri, 19 Apr 2019 11:25:14 -0400. Carolyn Webb. Sydney Morning Herald. Sat, 20 Apr 2019 00:05:00 +1000. ZDNet. Fri, 19 Apr 2019 12:15:00 +0000. Smithsonian. Fri, 19 Apr 2019 12:00:00 +0000. Daily Mail. Fri, 19 Apr 2019 12:14:55 +0100. Helen Mukhina. Kyiv Post. Fri, 19 Apr 2019 10:49:19 +0000. The French Republic, located in western Europe, is governed by an elected President, who appoints a Prime Minister and presides over a Council of Ministers. Its bicameral legislature consists of a Senate and a National Assembly. France's capital city is Paris, and its currency is the Euro. 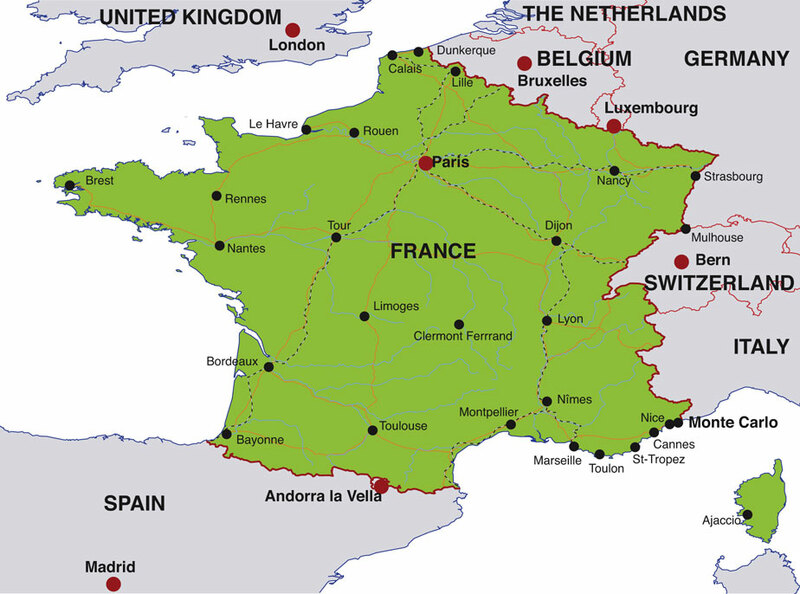 The primary language used in France is French, and in 2007, France's estimated population was 63,718,000. For more news and information about France, visit this official French government website. For detailed maps of France, visit this France map website.